Wurth Silver Wheel Paint is used to refinish dull or scuffed wheels. If your vehicle is not German made, test an inconspicuous area before doing touch-ups on the outer face of your wheel. 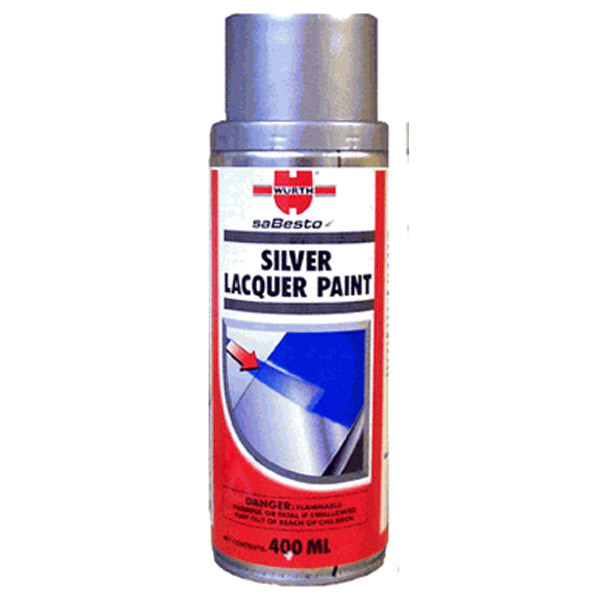 If your wheels all need total refinishing, this durable silver paint will work for any wheels. Remove your wheel and clean them thoroughly (POR-15’s Marine Clean works well here) before spraying it. This works on both plastic hubcaps and wheels. 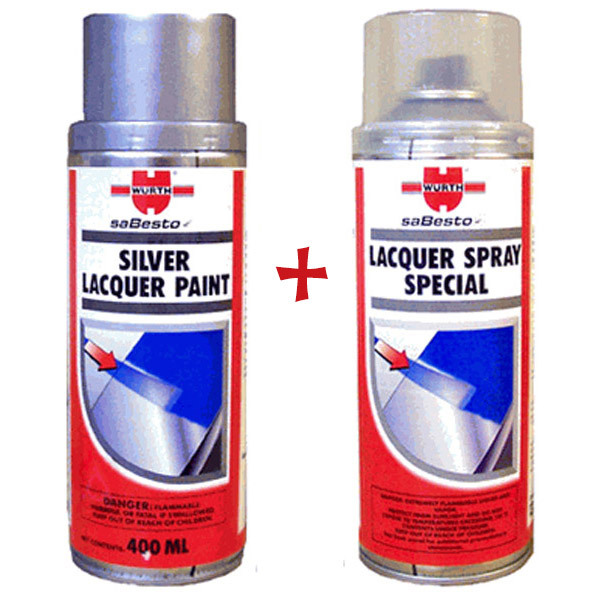 Get both the Wurth Silver Wheel Spray Paint and Wurth High Gloss Clear Lacquer in one money-saving bundle! This bundle is ideal for touching up minor scuffs and scratches. Wurth Silver Wheel Spray Paint perfectly matches the shade of silver used by German automakers. Follow up with Wurth High Gloss Clear Lacquer to protect the newly repainted area. Sand the wheel / hubcap smooth and apply a few coats of the Wurth Wheel Silver and then top coat with a few coats of the clear to give then the professional OEM look. A little money spent to bring them back up to scratch or get rid of the scratches. It is a good quality product, needs to be sprayed closer to the wheel approximately 4" away in a area where there is very little air flow to prevent it from drying before it hits the wheel. Follow the directions on the can for great results. I lightly scuffed the clear coat on my wheels, and did 3 light coats of color followed by the clear coat. Very impressed with the product, and would buy again.